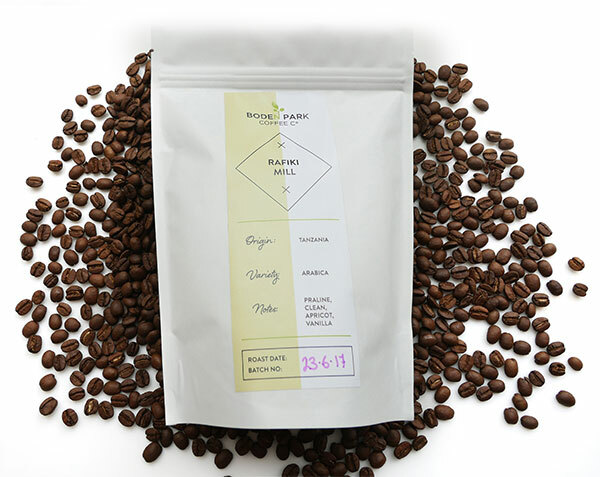 This coffee was grown and processed by various smallholder farmers from primarily Northern Tanzania. Mercanta’s partner in Tanziania, Rifiki (which means ‘friend’ in Swahili), operates the dry mill in Moshi where this coffee (a mix of multiple group and individual lots) was milled. The Rafiki (Coffee) Ltd. dry mill was built in 1997, originally to process parchment purchased in the field during the early days of coffee sector ‘liberalization’, later to serve estates, independent parchment coffee buyers and smallholder farmer groups as a commercial toll mill. Today their role has transformed: not only do they provide local groups with important services, such as dry milling, warehousing and helping place their coffee on the market, they also provide pre-financing and input financing for various Agricultural Marketing Cooperative Societies (AMCOS) with whom they work. Rafiki currently provides these services to up to 30% of producers in the Northern region, and in a region where it can be difficult to impossible for small farmers to obtain the credit they need to improve their production, this sort of support is often crucial. Rafiki has been instrumental in helping many producer groups in Tanzania to begin to celebrate quality in coffee and they will continue to support them in the coming years to ensure that groups seeing to better themselves and their production can stand on their own two feet. While we are unable to track this particular lot to an AMCOS or producer in particular, it is good to know that the mill is working toward bettering producer livelihoods in the region surrounding Moshi. The mill also supplies work to local people – 16 employees year round and an additional 25 seasonal jobs.